The SRP and SRP Pro piston lines combines affordability with modern forging technology for the absolute best bang-for-the-buck performance. When the SRP lineup was starting to take shape back in the 1990s, the original idea was to provide engine builders with the means to get the strength and durability they needed in their engine builds without breaking the bank. “We wanted to give folks an option outside of going with full-on motorsport parts – something aimed more specifically at the street guy,” says Nickolaus DiBlasi, Director of Product Management for JE Pistons. SRP PRO 2618 expands on the incredibly successful SRP PRO line and adds 2618 material to the mix. 2618 is an incredibly tough alloy, bolstering overall piston strength. Looking for performance pistons that won't break the bank? See all SRP has to Offer! Now with introduction of SRP Pro 2618 pistons, the team has taken all the features that made the SRP PRO 2618 line such a success and elevated them to an entirely new level. Let’s take a closer look at what makes SRP’s latest offering such a compelling option for hot rodders who are looking to add serious horsepower to their rides. SRP PRO pistons utilize dedicated forgings that are forged and machined in the USA in JE's Mentor, Ohio production facility. 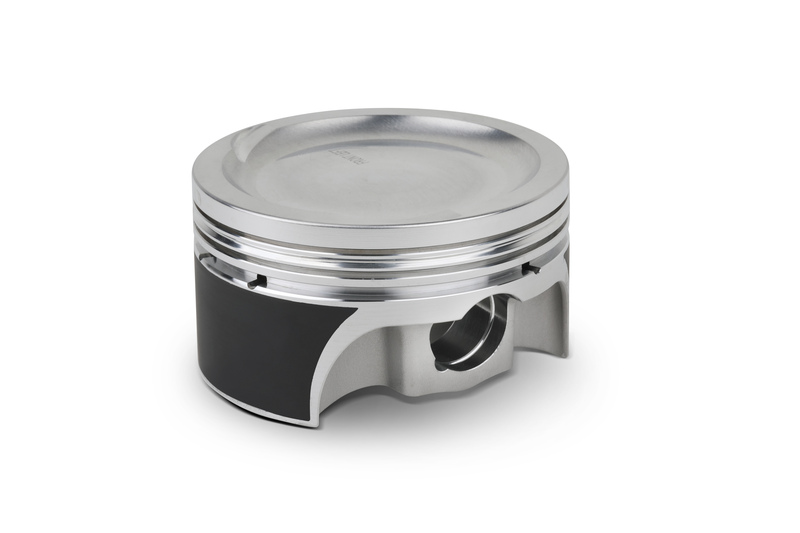 Developed over the course of a year, the SRP PRO 2618 piston designs were created using 3D computer modeling and tested for strength using finite element analysis (FEA), and a number of revisions were made along the way to optimize the strength and weight before the company deemed these new pistons ready for prime time. 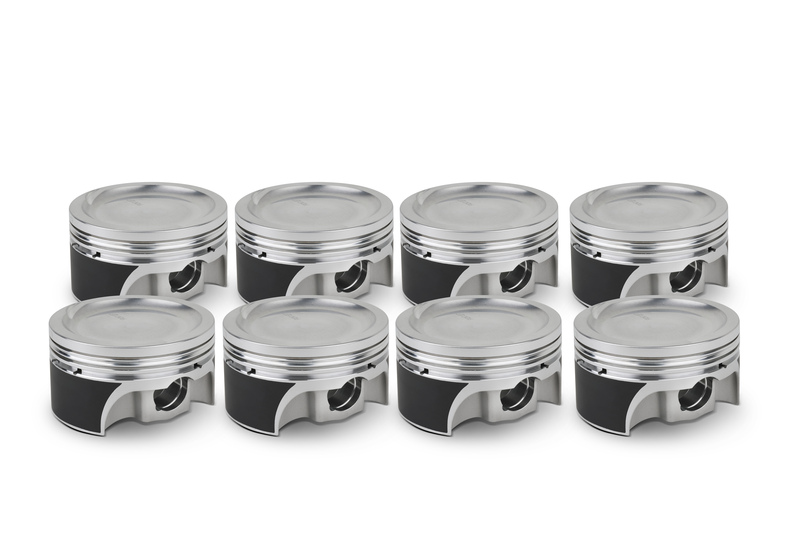 And unlike many competitors’ offerings, SRP manufactures billet pistons from solid pucks of aluminum for dyno testing in actual engines prior to approving the final forging designs. This gives SRP the opportunity to make small adjustments to the design to provide performance improvements and additional strength before the piston gets added to the roster. Looking for SRP Professional Pistons for your Small-block Chevy or Ford? Click HERE! All SRP PRO piston kits include a modern, carbon-steel ring pack as well as premium wrist pins and locks. But in recent years a trend in the market has seen an increased demand from builders who want the features and benefits of race-spec components in budget-friendly packages. That’s where the SRP Pro 2618 comes in. These utilize the same design features as the standard SRP Pro, but as the name implies, they’re made with 2618 aluminum rather than 4032. The SRP PRO line features modern, carbon-steel rings, anti-friction skirt coating, and comes in complete sets for many popular engine applications. Ultimately it’s about getting the most bang for your buck. “These pistons are as close as you’re going to get before you start getting into stuff that’s more race than street,” he adds. 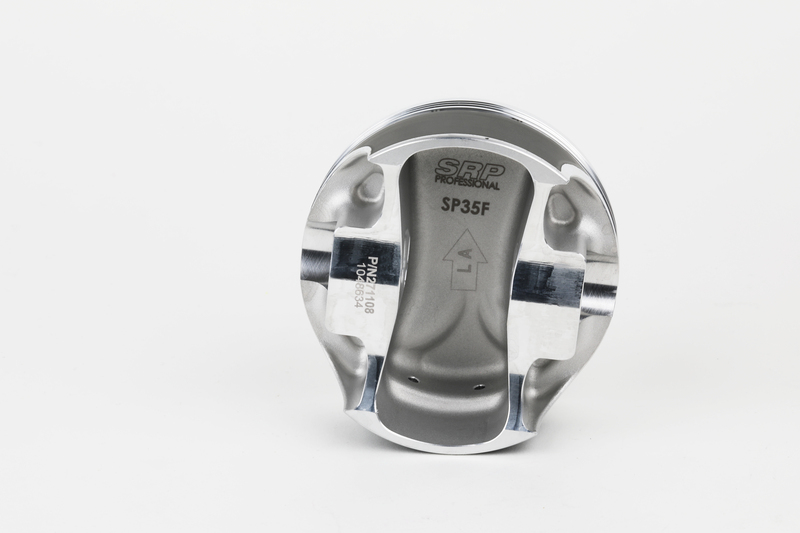 All SRP Pro 2618 pistons are lightweight, forged side relief (FSR) forgings, which eliminates stress concentrations for superior strength versus traditional designs while shedding up to 20 percent of the weight. Accumulator grooves provide an improved ring seal while thick top ring lands are on hand to accommodate your forced induction/nitrous build’s requirements. 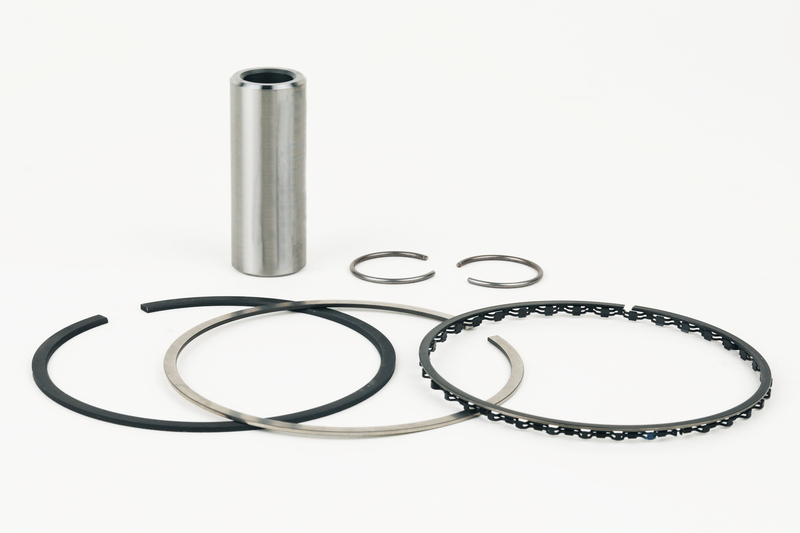 Each package includes a set of JE Pro Seal premium piston rings, high quality wrist pins to further reduce reciprocating weight, and carbon steel wire locks.